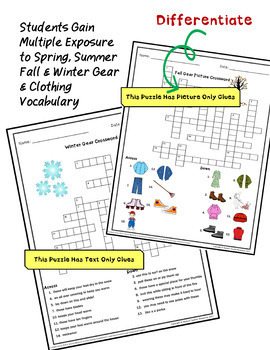 Use these English vocabulary activities with your beginner and intermediate level English Language Learners or Newcomer EFL students.Puzzles are a great way to practice new clothing vocabulary. 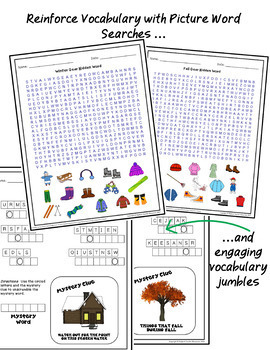 The differentiated activities will engage beginner level English learners to intermediate level ESL students. Use these vocabulary retention activities for lessons, homework, fast finishers, or bell ringers. 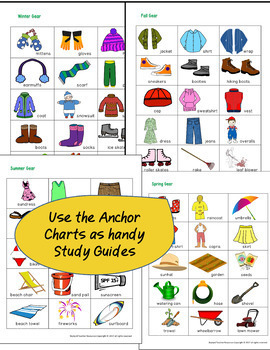 Keep on hand for newcomers throughout the year. 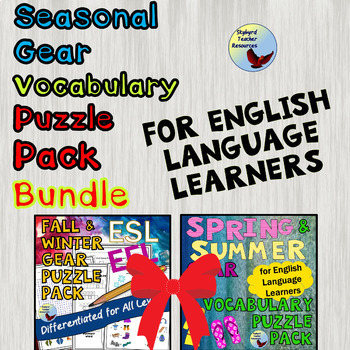 You can buy these two packs separately: Spring/Summer Clothing Puzzle Pack, Fall/Winter Clothing Puzzle Pack but give yourself a break and save a hard earned dollar by grabbing this bundle. Couple this with my ESL Grammar Practice, ESL Games or my ESL Newcomer Units and you’ll be ready to rock!